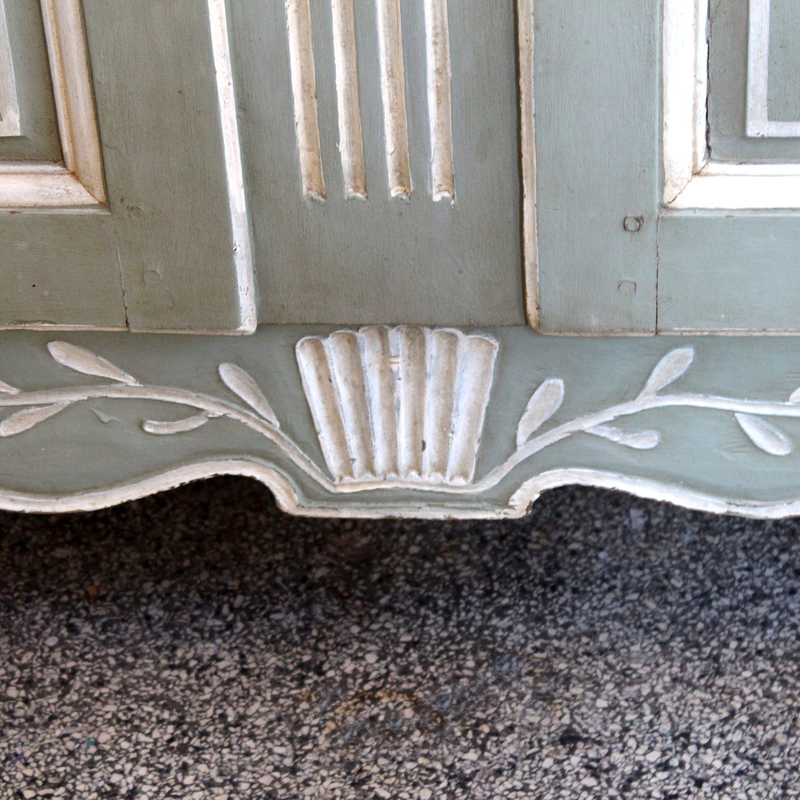 Small sized 19th century XLV style marriage cabinet or armoire made from oakwood. 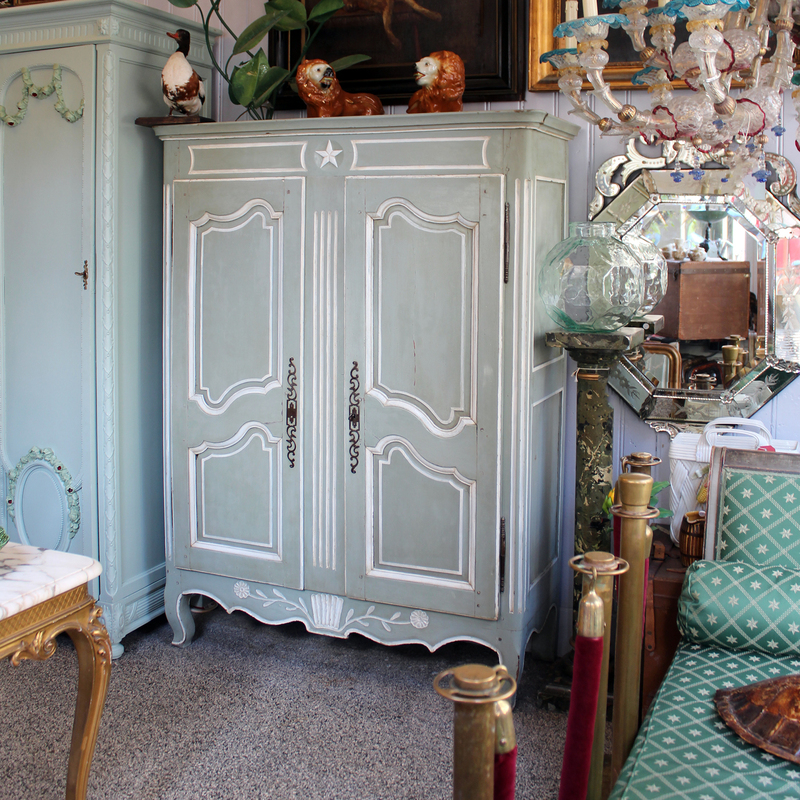 The size of this armoire and color make it a perfect cabinet for a children’s room. It has 4 shelves and fine carvings. 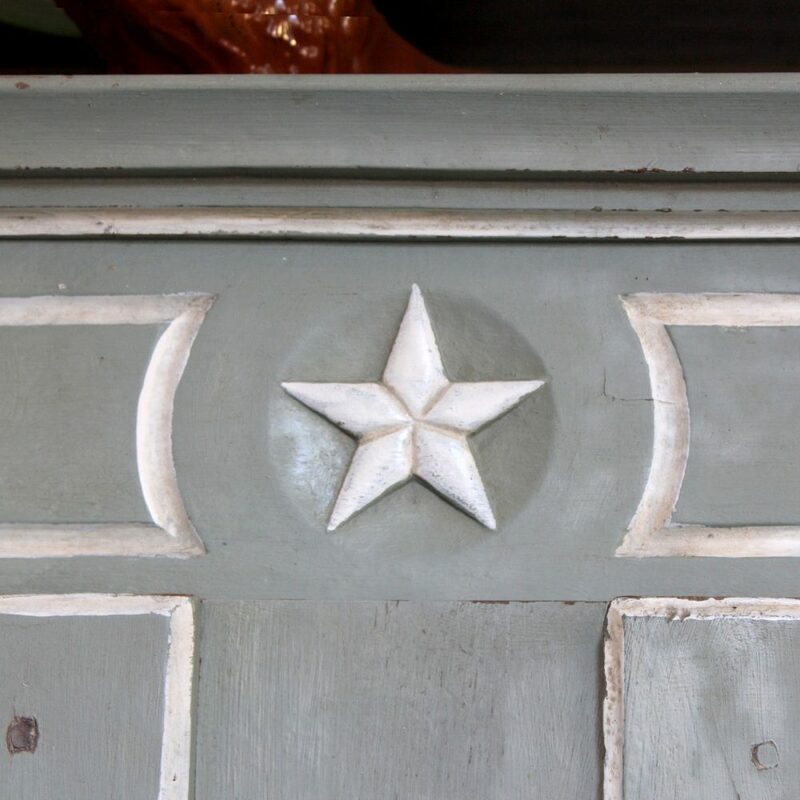 Original paint in jade green grey and white. Originates from France, Normandy region. H 180 cm. W 121 cm. D 46 cm. 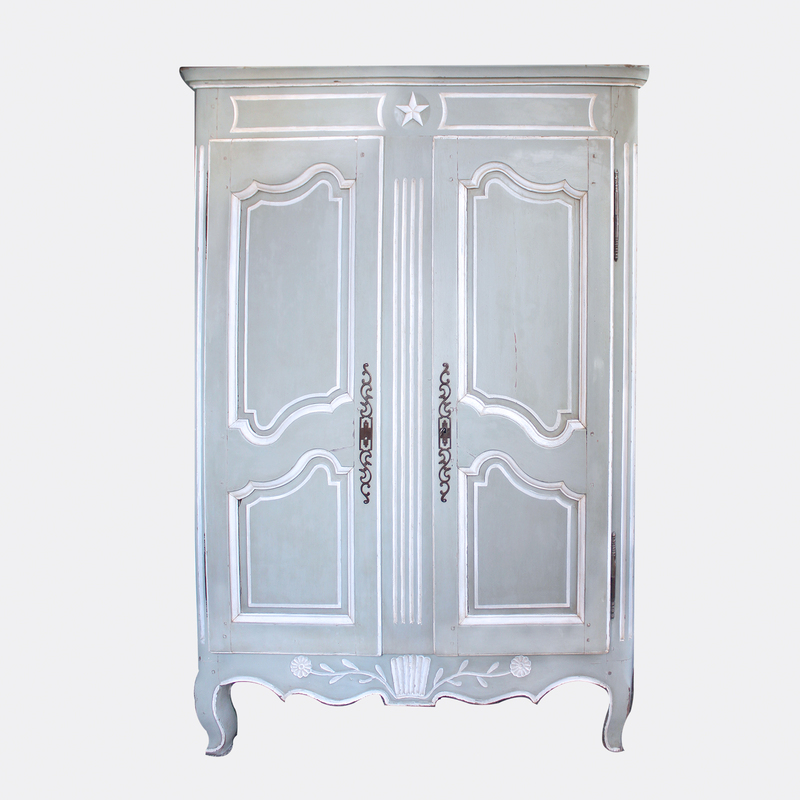 This armoire is in very good to excellent condition for an antique having been restored. There may be minor surface imperfections consistent with age and use but there are no mechanical or structural issues.